Sign up for the PADI Open Water Diver course and get ready to enjoy some of the best moments of your life! 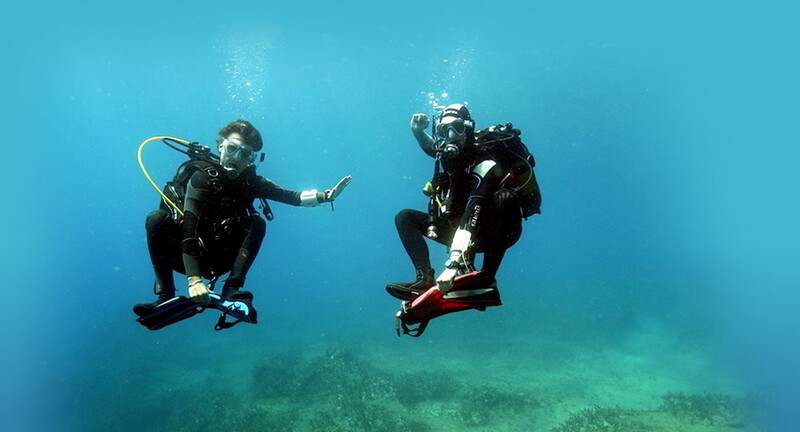 During your diving course, you will learn to dive with a buddy. This means knowing how to help each other and of course having a good time together! Learn to dive in the perfect conditions - sunny, warm and calm, clear water! The PADI Open Water Diver license is your passport to the underwater world! Children aged between 10 and 15 will get a PADI Junior Open Water Diver certificate. This certificate allows children of 10 and 11 years old to dive with either a certified parent or guardian or a PADI professional to a maximum depth of 12 metres. This is also their maximum depth during the course. Children of 12 to 15 years old are, after certification, allowed to dive with a certified adult or PADI professional to a maximum depth of 18 metres. The PADI Junior Open Water Diver certificate will change automatically to a PADI Open Water Diver certificate when the child becomes 15 years old. Good planning, quality teaching and the flexibility to make it personal and fun. The 5 theory sections create the knowledge and understanding that you will apply during your pool and open water dives. If you would rather spend your time in the water instead of our classroom, check out our ::study at home:: tips to minimise the time spent indoors. Pool dives - Learn skills and build confidence! During 5 shallow water training sessions you will be preparing for your open water dives. These lessons in sheltered water will build your confidence and have you look forward to the real thing! Open water dives - Time to start exploring! Time to begin exploring the underwater world and to get acquainted with the beautiful underwater life that surrounds you! While applying your previously obtained diver skills you finish your course with some fun dives under the supervision of a PADI professional.